With official action coming yesterday morning and a rally descending upon Downtown in the evening, the fight for a $15 minimum wage bookended in Pittsburgh. Amid a national discussion about workers’ pay and the federal minimum wage, Pittsburgh Mayor Bill Peduto issued an executive order Tuesday morning requiring the city to pay its workers at least $15 per hour. 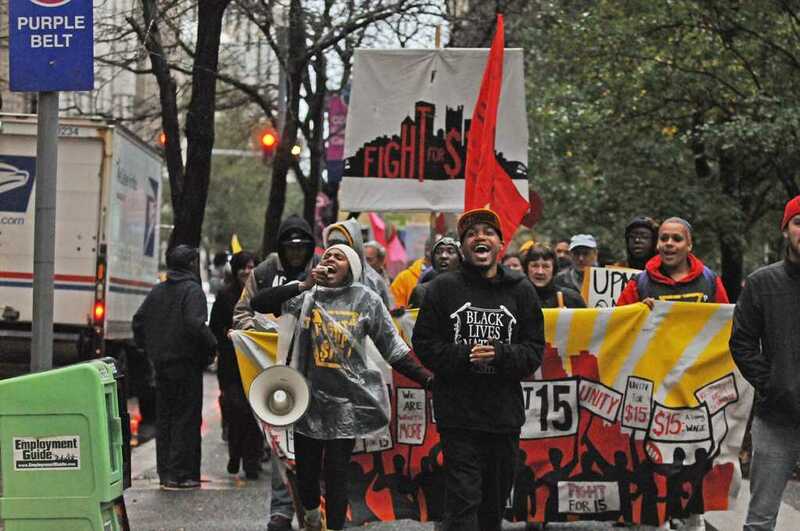 Nine hours later, roughly 250 workers and activists marched on the Pittsburgh City-County Building Downtown in another push in Pittsburgh’s fight for a $15 minimum wage. The order mandates the city pay all full-time employees at least $15 per hour by 2021. 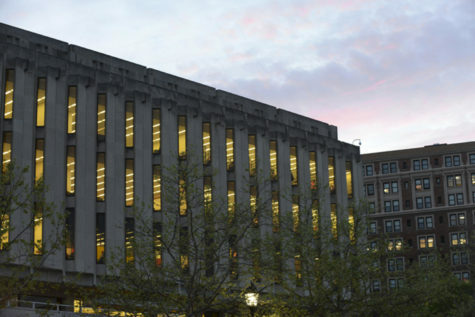 The city will phase in increases over the next five years, the release said, to comply with the city’s Act 47 Recovery Plan, a plan from the state that designates Pittsburgh as financially distressed. The order will affect about 300 city employees, according to the release, including laborers and clerical workers. At the rally Tuesday evening, workers and activists marched from the U.S. Steel Tower down Grant Street, chanting, shouting and gathering on the steps of the City-County Building. 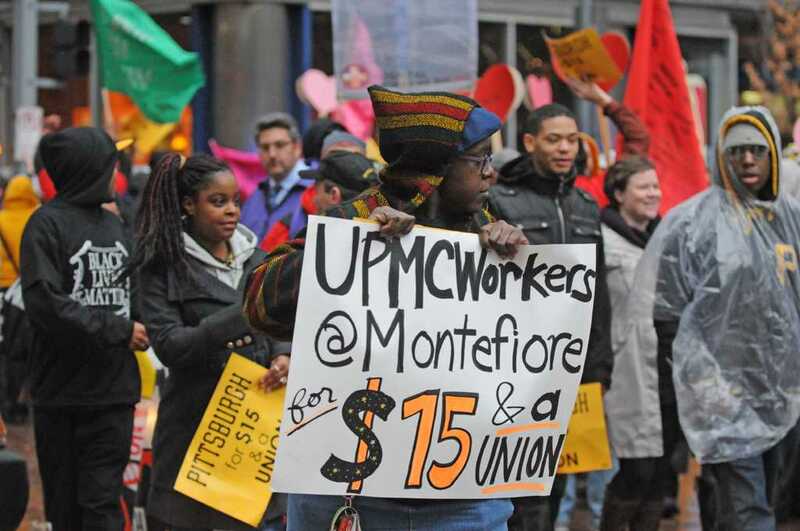 Labor leaders, activists and elected officials spoke in support of Peduto’s order and called on those gathered to use it as momentum in their continued fight for a higher minimum wage. 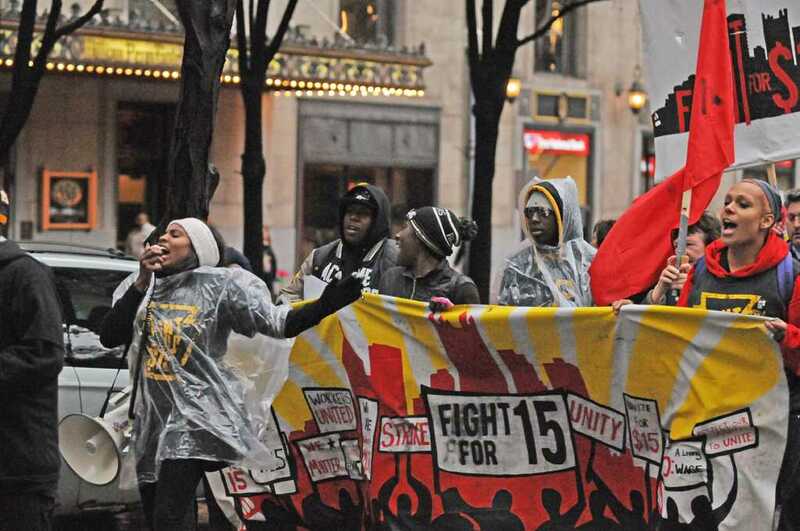 “We’re still fighting because we want [$15 per hour] for fast food workers. 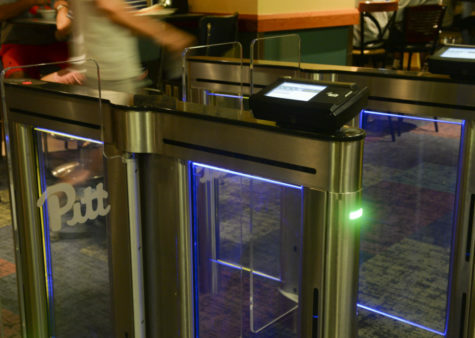 But it’s a start,” Ashona Osborne, a Pittsburgh worker who works two part-time jobs at McDonald’s in Penn Hills and at the Pittsburgh Zoo, said. The city will begin phasing in pay increases in 2017, giving it a full year to work the increases into its budget. 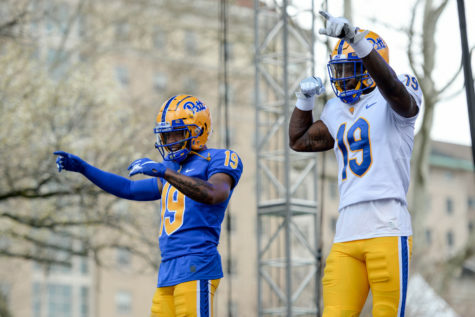 In the first year, Peduto’s spokesperson Tim McNulty said, city workers, who currently average around $11 per hour, will make $12.50. In 2017, McNulty said, this increase will cost the city about $150,000. By 2019, city workers will make $13.75 per hour and $15 per hour beginning Jan. 1, 2021. In Pennsylvania, Act 47 allows the Pennsylvania Department of Community and Economic Development to designate certain municipalities as financially distressed. Pittsburgh received its designation in 2003 and retains the status in part because Act 47 municipalities receive tax revenue from people who work in the area, even if they don’t live there. Peduto issued two other charges in his order, including one in which the Office of Management and Budget issues guidance on how to work the wage increases into the city budget by Jan. 1, 2017. Peduto also called on City Council to introduce legislation early next year that would require all companies that contract with the city to pay their workers no less than $15 or face penalties. McNulty said because the Mayor just issued the order Tuesday, they had not yet laid down specific consequences they would impose on city contractors that do not comply with the minimum wage, but said they could possibly include sanctions or barring the companies from bidding on future contracts. McNulty said Peduto would begin working with City Council in order to introduce the non-compliance legislation by early 2016, most likely in late January or early February. City Council member Ricky Burgess, who spoke at the rally, said he had not yet heard of pending legislation but spoke in support of Peduto’s order. Burgess, who is also a pastor at a church in Homewood, said the fight was about decency as much as it was about $15 per hour. According to Osborne, the worker and Fight for 15 organizer, the group’s goal is still to raise the minimum wage to $15 per hour for fast food workers. 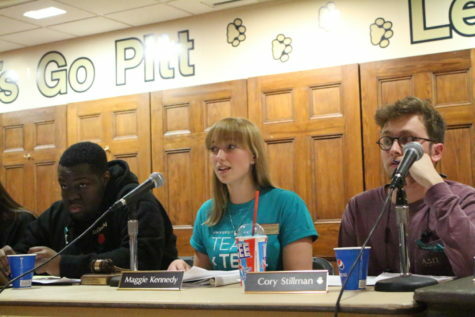 Last semester, several student groups at Pitt and a local branch of Fight for $15 rallied on campus last semester to raise the state’s minimum wage. 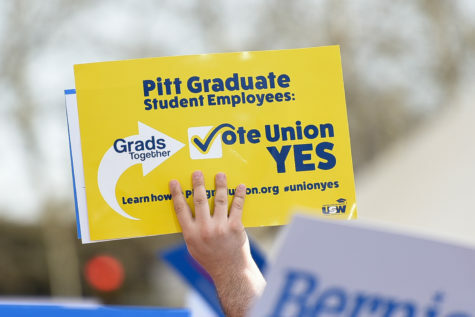 Several members of Pitt’s student group Americans for Informed Democracy rallied alongside workers Tuesday. 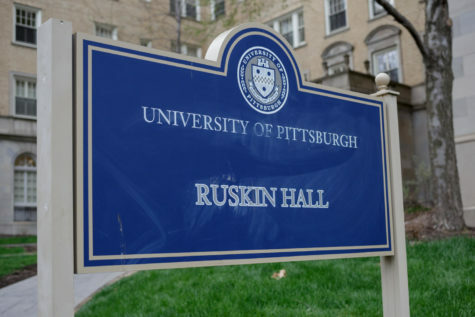 Pitt spokesperson Ken Service said the University had no comment on Peduto’s order. 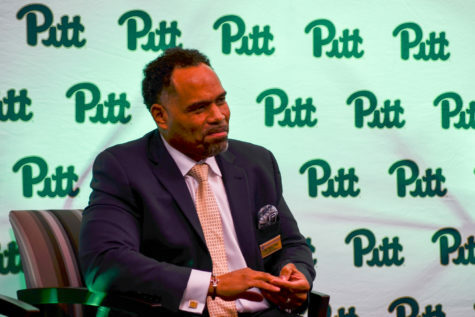 Pitt does not currently have a set minimum wage for its academic employees or non-academic employees, nor does it have a minimum wage requirement for the companies with which it contracts. Currently, the Pennsylvania Senate is nearing a deadline on a bill that would raise the state minimum wage from $7.25 per hour to $10.10 per hour. 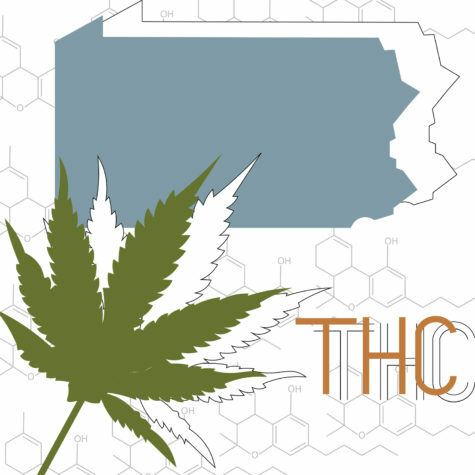 Pennsylvania Sen. Christine Tartaglione, D-Philadelphia, and Sen. Jay Costa, D-Allegheny, along with eight other senators, introduced the bill in January and issued a discharge petition on Oct. 21, to force the bill out of committee and onto the Senate floor for consideration. In the Northeast, Pennsylvania has one of the lowest minimum wages compared to its neighboring states. Maryland’s current minimum wage is $8.25 per hour and is set to increase to $10.10 by July 2018. New Jersey’s minimum wage is currently $8.38 and is now indexed to increase alongside the Consumer Price Index. New York’s minimum wage is set to increase to $9 per hour by the end of this year, while its governor, Andrew Cuomo, is pushing for a $15 minimum wage. 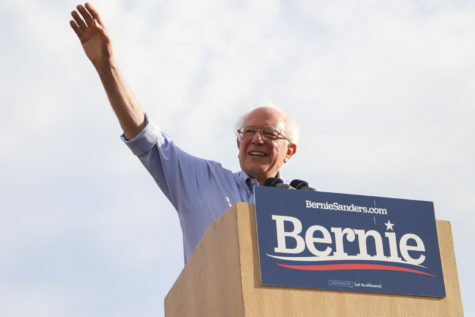 In July, presidential hopeful Sen. Bernie Sanders, I-Vermont, an independent candidate seeking the Democratic nomination, introduced legislation to raise the federal minimum wage to $15 per hour. 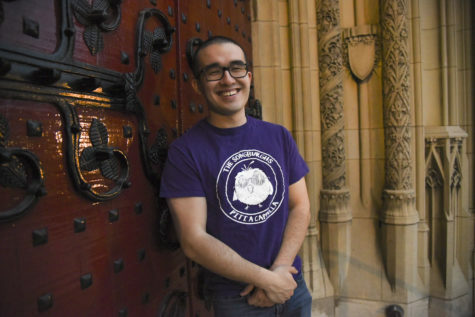 Christoria Hughes, who works as a dietary aide at UPMC Presbyterian Hospital, welcomed Peduto’s order, but said the fight for higher wages should continue.